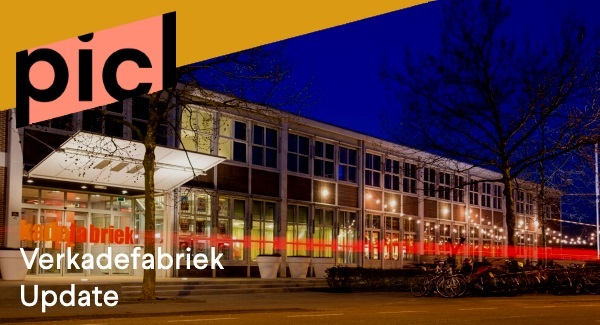 Cinemas De Verkadefabriek in Den Bosch, Filmtheater Alkmaar and Cinema Middelburg have joined Picl and will be offering their films online via Picl as well. This makes the number of participating cinemas no less then 17! Since the beginning of this year, Picl has seen a significant increase in the number of views. The number of views increased by eighty percent in the past quarter. Especially after Picl’s launch, there has been a boost in the number of views. The best viewed movies at this time are the documentaries 0,03 Seconde (Cinema Delicatessen), Hier Ben Ik (Amstelfilm) and the films If The Sun Explodes (Mokum Filmdistributie) and Sami Blood (Cinemien). Alkmaar – Filmhuis Alkmaar (from September 2017), Amersfoort – De Lieve Vrouw, Amsterdam – Het Ketelhuis, EYE, Rialto, De Balie, Breda – Chassé Cinema, Den Bosch – Verkadefabriek (from 29 June), Den Haag – Filmhuis Den Haag, Enschede – Concordia, Haarlem – Filmschuur, Hilversum – Filmtheater Hilversum, Middelburg – Cinema Middelburg (from summer 2017), Nijmegen – LUX, Rotterdam – LantarenVenster, Utrecht – ’t Hoogt, Zwolle – Filmtheater Fraterhuis.